Not one but two cashmere yarns are on sale this month! Save 20% on both Capra and Capretta for the month of November. Treat yourself (and your stash) to some luxury yarns or, if you’re like me, frantically buy all the lovely yarns for last-minute panic present knitting projects for those people you’ve forgotten are on your list (until just now!). Whatever your stash situation, we’ve got you covered with our cashmere yarn sale. Need some inspiration to get you started? Read on for some of our favorite patterns! If you’ve been dreaming about knitting your very own Caddington Wrap but can’t quite justify the yarn cost, now’s the time! Do it! Wrap yourself in a cozy cocoon of gorgeous cashmere yarn. Trust me, you’ll have zero regrets*. (*note, claim of “zero regrets” only applicable if yarn is purchased, many regrets guaranteed if sale is skipped). 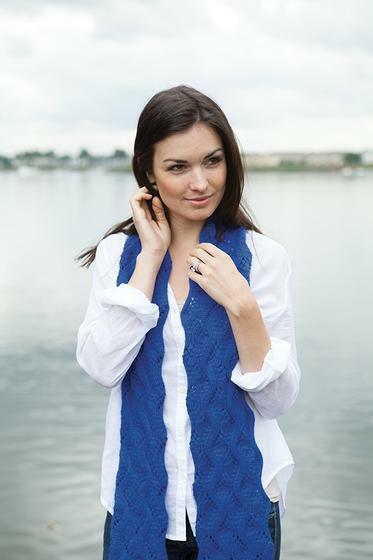 Our new Sunwheels yoke pullover is a stunning example of Capretta’s versatility. Perfect for colorwork, the addition of nylon in the fiber contents means that this yarn will hold up to consistent wear while maintaining excellent stitch definition. Capra, Capretta’s weightier cousin is ideal for accessories and sweaters with a little extra coziness. For an excellent gift idea, our Blazing Autumn Scarf uses five balls of Capra to make this charming, unisex scarf. Not too fussy with plenty of length to be practical on chilly fall or winter days, Capra is snuggly without a trace of “itch factor”. Remember, our sale runs through the end of November so don’t wait too long before you collect some of this cozy cashmere.